It would be easy to look at the Bible as a continued war against Chaos. In the beginning God spoke order out of Chaos, and in our attempt to follow in God’s pattern of creating order we have divided ourselves in categories: rich, poor, republican, democrat, black, white, and it goes on. This division is no more greatly seen than in America’s current state of affairs. However, the disparities in wealth and education, and the racially motivated deaths of Michael Brown, Eric Gardner, Wenjian Liu and Rafael Ramos have caused the lines of race and socio-economics to be redrawn and thickened. The people in our country, and in our churches, are being pushed or pulled to a side of the issue–which pulls us farther away from the order God desires for us. I believe that we as disciples are call out of this world. When the world enters chaos, WE are called to be the example of calm and peace in the storm. When discrimination shows its head, WE are called to remind the world that we are all grafted equally into the family of Christ and live under grace. When personal gain–materially or politically–becomes the focus, WE must remind the world that no one should go wanting. When it seems that there is nowhere else to look to find peace, WE must remind the world about Jesus on the cross. We must remind the world that he brought a message of peace, and saw no division within the kingdom of God. I ask for my fellow Christians to remember that God calls us to speak words in times of peace and in conflict. God calls us to create disciples–not just of those that look, live or think like us–but of all people. Are our churches and ministries reflecting this call? Are we promoting peace in this time of unrest based on division? If not, what are we doing as the church? Order comes from chaos when God speaks into it. Chaos comes from order when humanity believes he/she is God over creation. 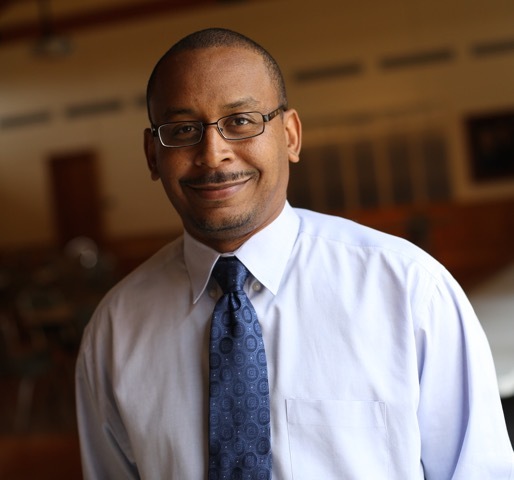 Otis Hall is a CBF Leadership Scholar attending Truett Seminary at Baylor University.